I am sad to inform you of the death of Emilie Lellouche, mother of Mireille Key. Emilie was an extraordinary, wonderful and gentle woman with a remarkable story. She was 96 years old and died very peacefully and gracefully on March 21, 2011 at Frasier Meadows, surrounded by loving family. Funeral arrangements are still being finalised and burial will take place in Virginia. There will likely be one night of shiva and memorial back in Boulder for Mireille and her family and I will keep the community informed. 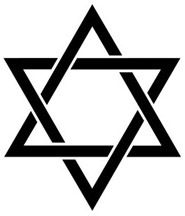 Hamakom y’nachem – strength and comfort to Mireille and her family and peace on Emilie’s soul, may her memory be a source of blessing.